Our creative team of professionals are always ready to make set ups for maximum output of our range of preferred conveyor belt. 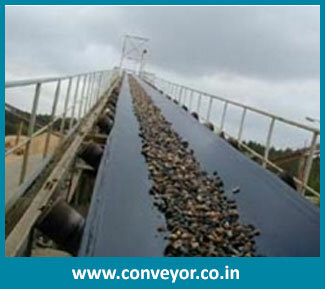 Our series of chevron conveyor belt is used to transfer material or products with inclined conveying. We provide convenient and required inclination for the product that seeks transfer with safe manner. 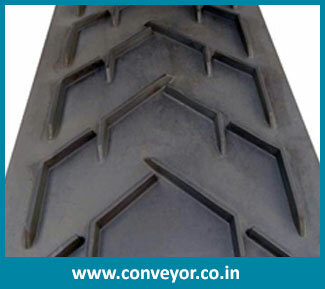 It is provided with vertical cleats to facilitate easy conveying. 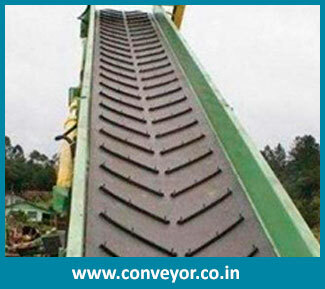 It is abrasion Resistant Conveyor Belt and consists of high tensile strength. It is specially made with resistant to grease and oil. It is made user friendly that contains more advance features. It is made very convenient for suitable operations and adds functional value to automation system.